Gift cards purchased for the Main Street location may only be used at the Main Street location. Click here to learn how to use the payment interface for this location! 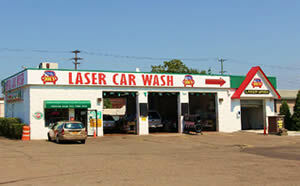 We are located on Main Street, at the corner of Emma Street, near the Arch at the Johnson City / Binghamton line. We proudly accept Visa, Master Card, Amex and Discover.